Don't you just love it when something so pretty is so simple? 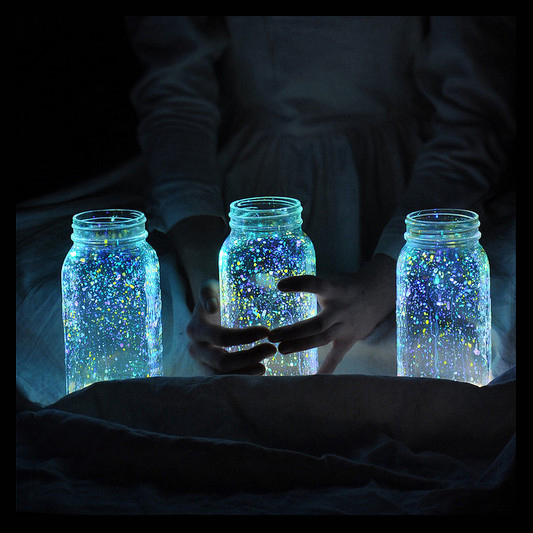 Just flick glow in the dark paint onto the insides of jars and recreate the magic of fireflies. A very clever idea from Chrisjob on Curbly.